Kwak M-S, Kim N, Lee HS, Lee HE, Jung HC, Song IS. 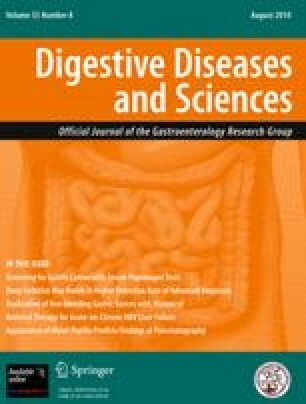 Predictive power of serum pepsinogen tests for the development of gastric cancer in comparison to the histologic risk index. Dig Dis Sci. 2010. doi: 10.1007/s10620-010-1181-x. Mizuno S, Miki I, Ishida T, et al. Prescreening of a high-risk group for gastric cancer by serologically determined Helicobacter pylori infection and atrophic gastritis. Dig Dis Sci. 2010. doi: 10.1007/s10620-010-1154-0.